Very Good. 0241257409 ALL BOOKS SHIPPED WITHIN 1 DAY OF PURCHASE! I often struggle with the way that some American author's write and this book is in that category. The book's title is repeated so frequently in the text it becomes annoying (to me). The author as she develops her argument continues to repeat elements as if this some how consolidates it. It is a good book with very interesting information about self image and vulnerability in men and women. I would recommend it to anyone finding themselves at a cross road in their life who is lacking in confidence in their abilities. Enjoyed the book. It was shipped quickly and the condition was very good. Can?t beat the price. 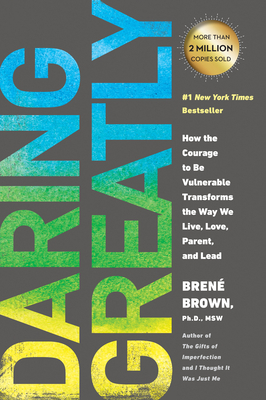 Brene Brown has something to say that we all need to hear. She says it well! !